I always enjoy keeping up to date with E3 every year. 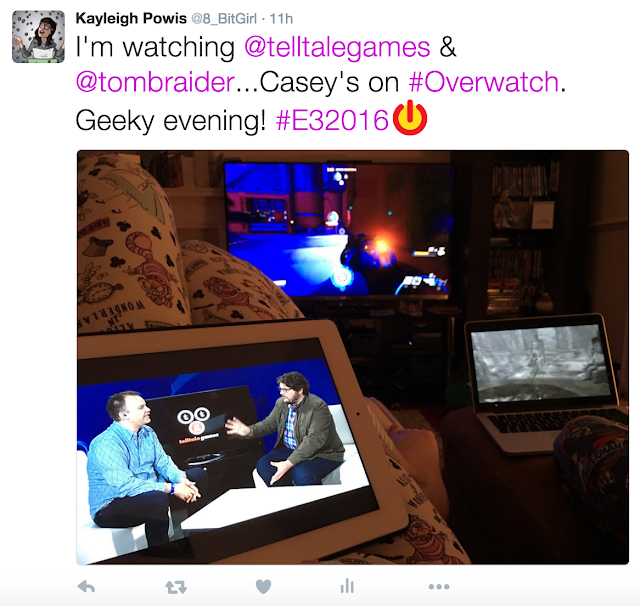 I normally do this via live-tweeting over Twitter (or catching up over Twitter if the conferences are scheduled when I'm sleeping in the early hours of the morning, or during work!). 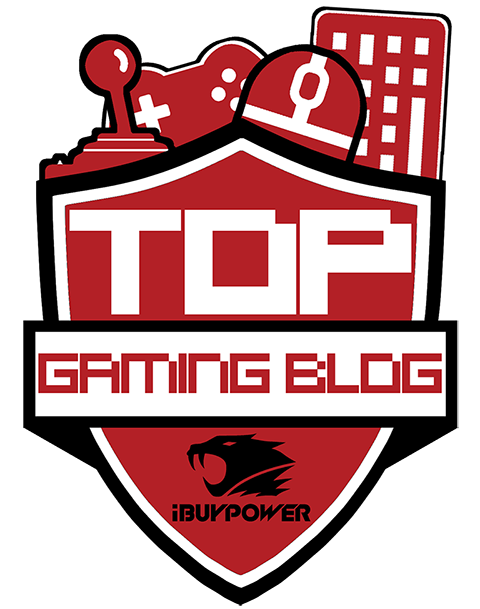 Yesterday, we saw a clash of streams, from the likes of Nintendo, Sony, Square Enix and a Capcom Resident Evil 7 developer stream. 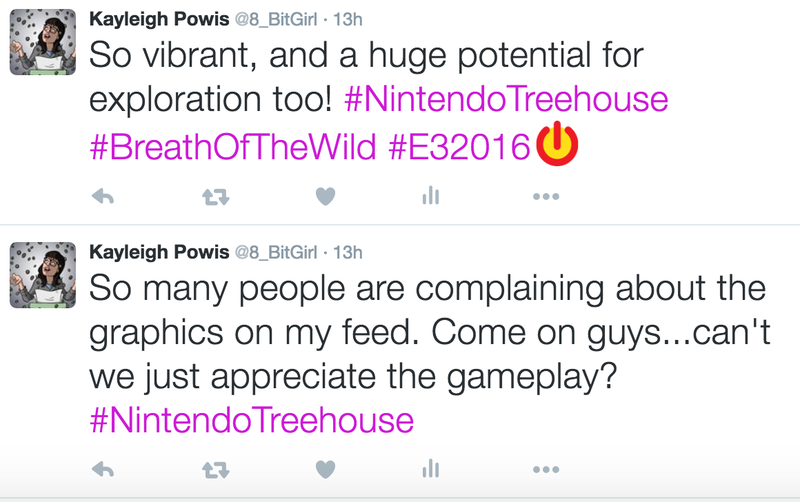 I tried to flit between them when I could, and tweeted out about it. 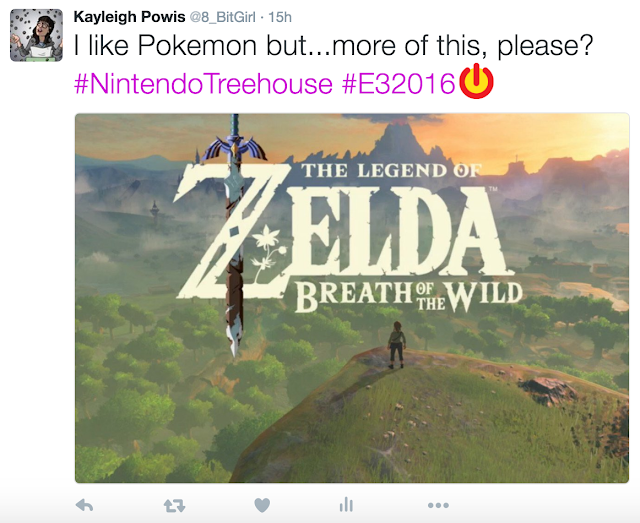 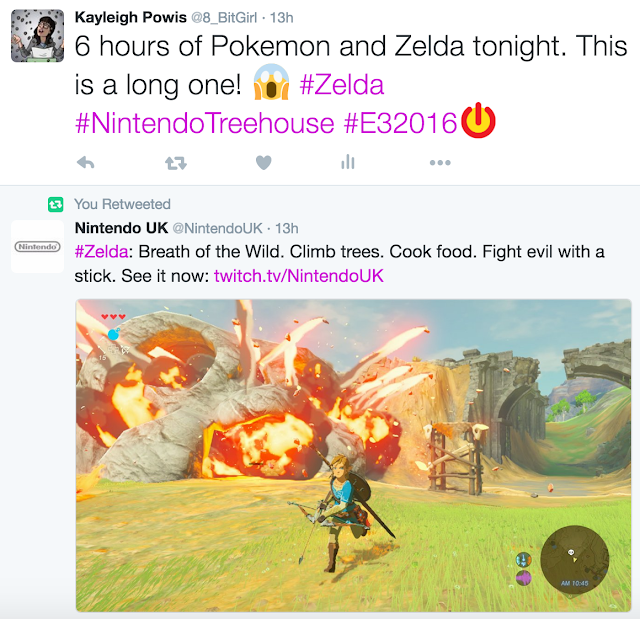 As I was mostly interested in seeing some brand new Zelda gameplay, I largely stuck to the Nintendo Treehouse, though. 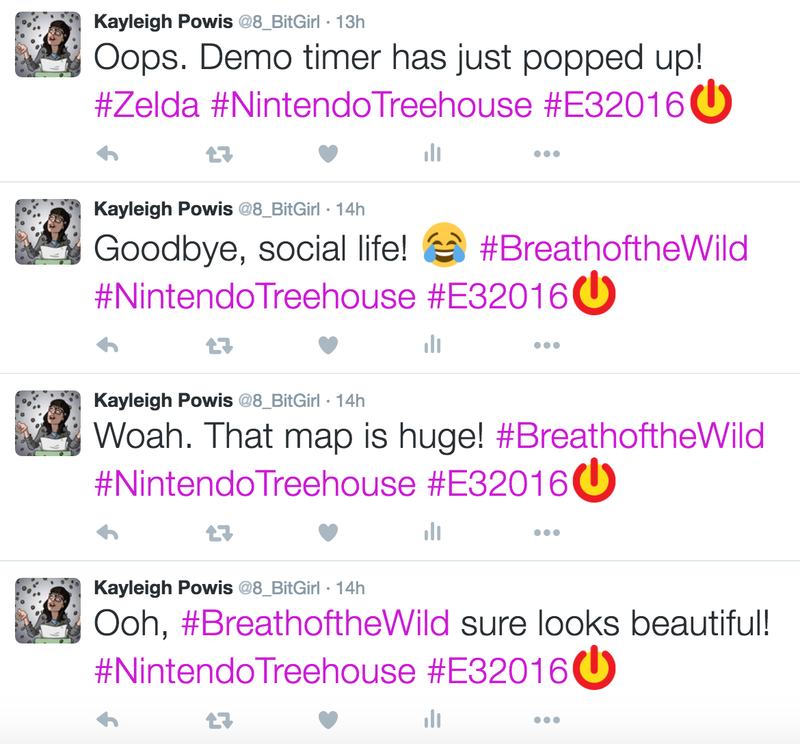 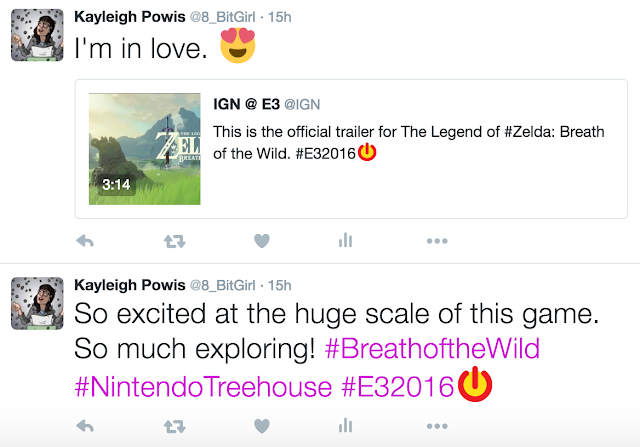 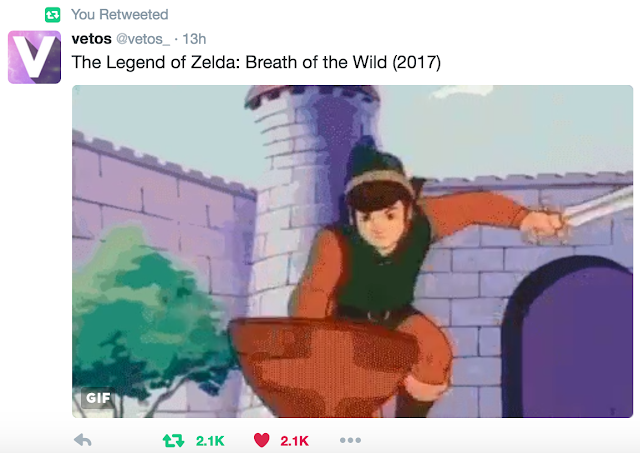 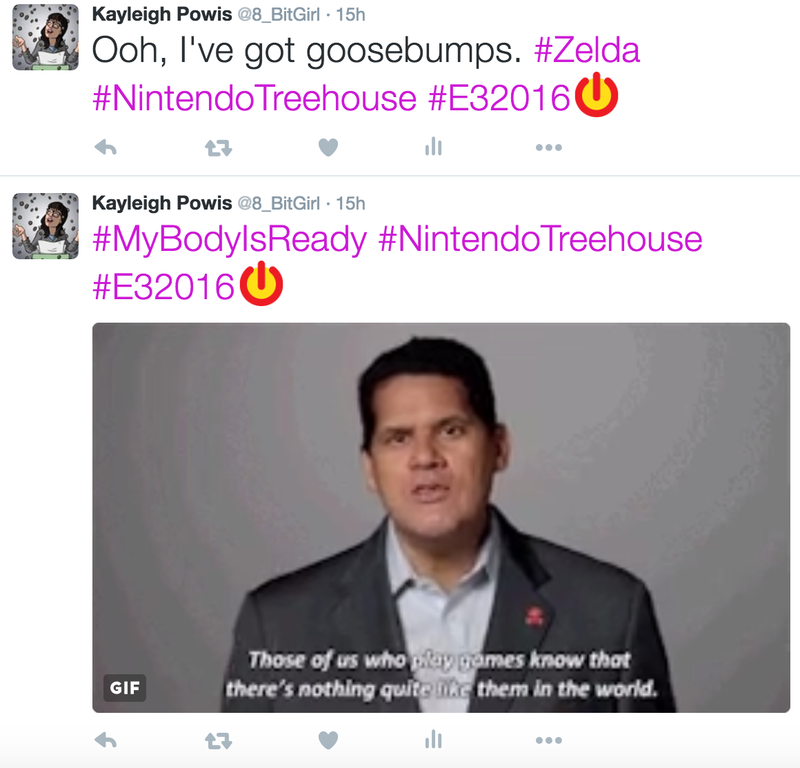 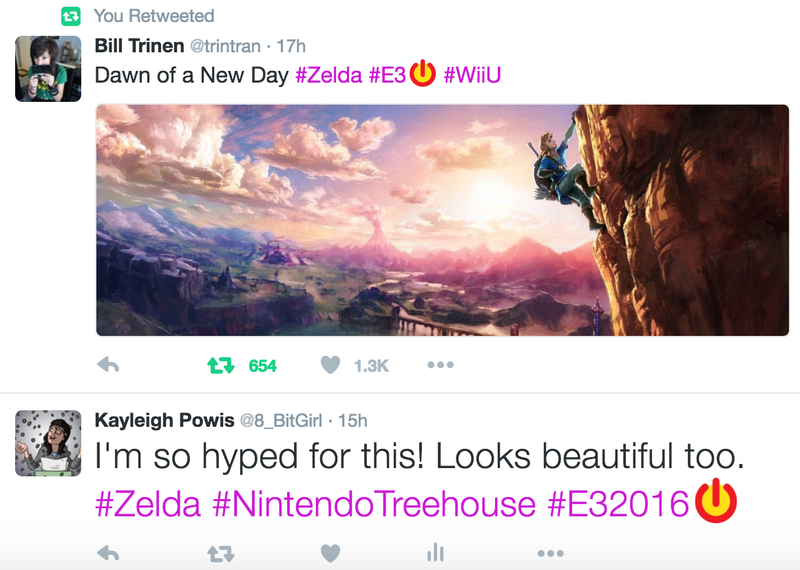 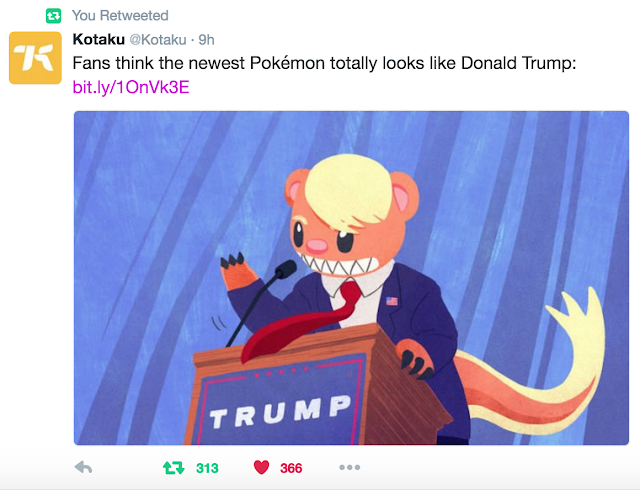 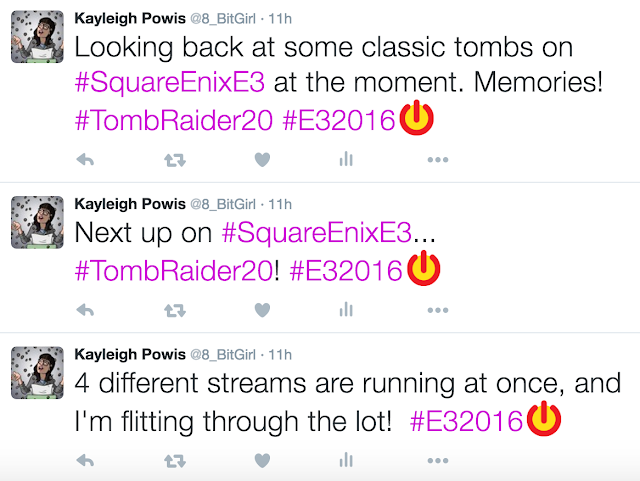 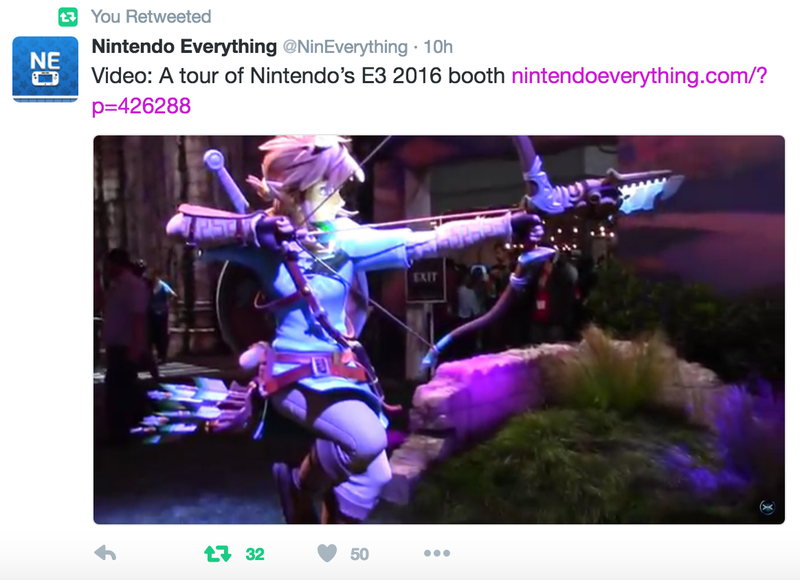 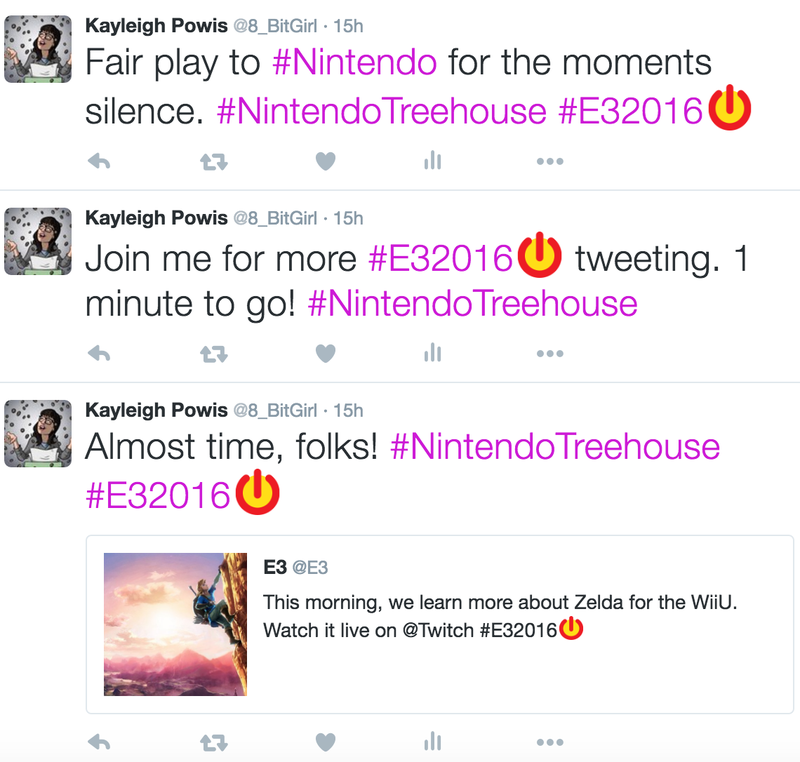 So, here's part 3 of my E3 tweets. To read these in order, please go from the bottom to the top of each screenshot. 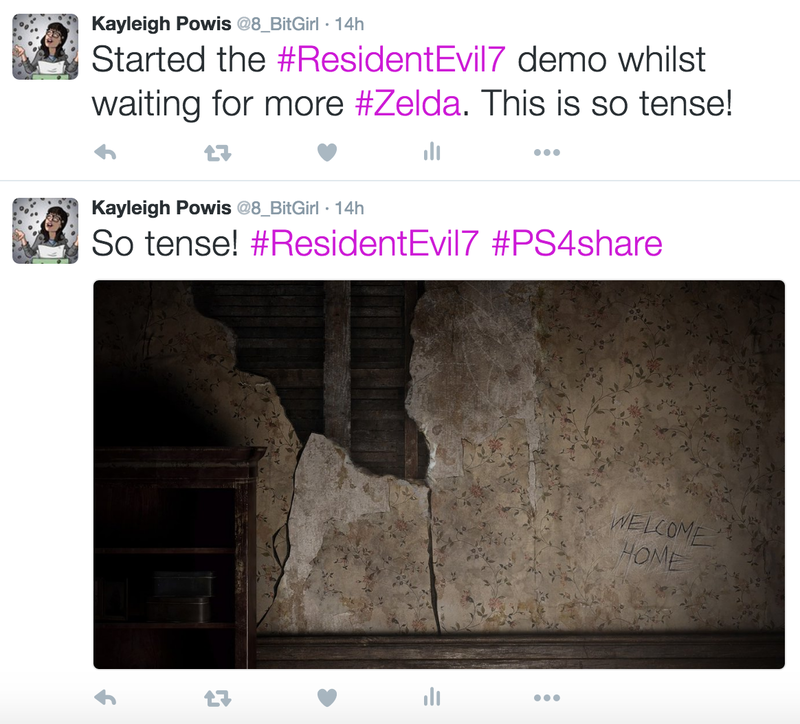 Whilst I was enjoying seeing Pokemon Sun/Moon, I was really looking forward to checking out more Zelda at this point, so I tried out the Resident Evil 7 demo! 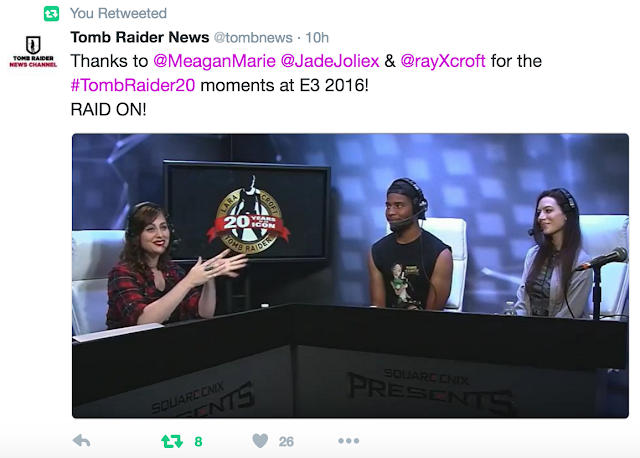 Check out Part 1 here, and Part 2 here.